Police in Slovakia investigating the murder of a journalist and his partner at the weekend think he may have been targeted due to his work. Ján Kuciak and his fiancée Marina Kusnirova, both 27, were discovered shot dead at their home on Sunday in Velka Maca, 65km east of the capital Bratislava. Kuciak often reported on fraud cases linking businessmen with Slovakian politicians. "The doors are sealed by the police, the inspectors just left. With this brutal double murder, Slovakia has joined a handful of European countries where journalists risk their lives when they investigate cases tied to the political or economic elite," he said. Kuciak's last story for the news site "Aktuality" involved a businessman at the centre of a recent political scandal. The double murders shocked friends and fellow journalists. The Council of Europe's human rights commissioner Nils Muiznieks vowed on Twitter to raise concerns over the deaths with the Slovakian government directly. Prime minister Robert Fico said if the murders are linked to Kutziak's work it is an unprecedented attack on press freedom and Slovakia's democracy. 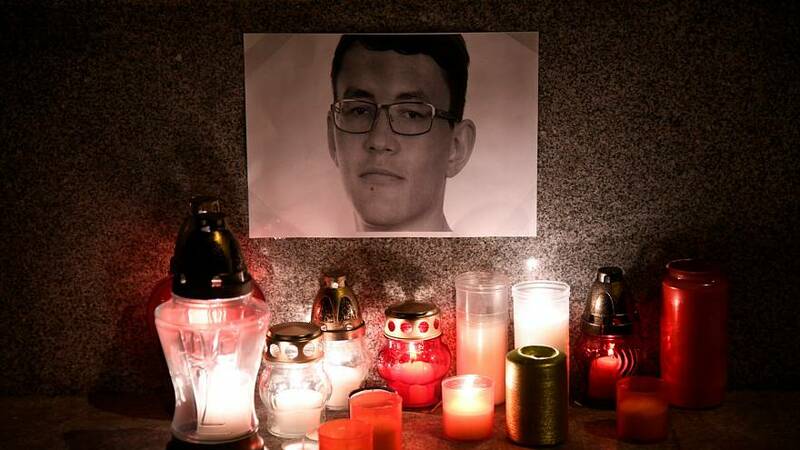 Kuciak is the second European investigative reporter to have been killed under suspicious circumstances in recent months. Maltese reporter and anti-corruption activist Daphne Caruana Galizia died when a car bomb exploded near her home in October. Three men have been charged over the attack.